Heading back to Red Sox country after a quarter century! 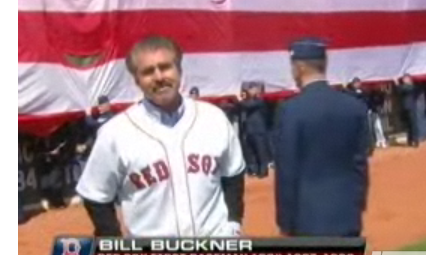 Bill Buckner, Won’t You Please Come Home? Seems it took two World Series wins to chase all the ghosts rattling the Nation’s cage. Good for all concerned. PS. 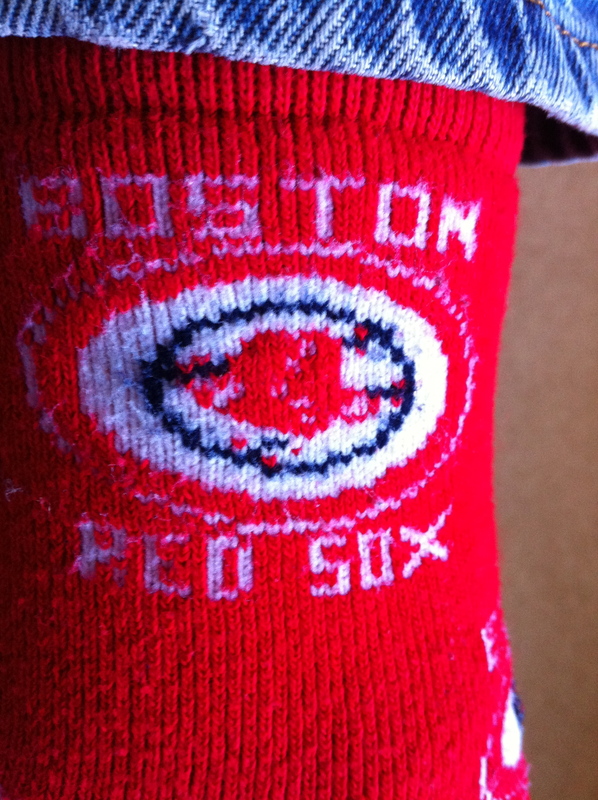 Sox won the game, too…Five-zip. Red Dress: Belongs to Julia Fischer, soloist last night in an absolutely transcendent performance of the Beethoven Violin Concerto, with Yuri Temirkanov and the St. Petersburg Philharmonic at the Ken Cen. She managed to be noble, elegant, energetic, engaged, even playful…and at all times serenely musical. What Julia Fischer chose to play with the BSO was no less a work than the Beethoven concerto: not a razzle-dazzle piece, the flash of which is to blind the audience and stun them into happy submission, but a work that demands foremost a thinking player’s approach, lest it fail to take off. Technical perfection and bravura playing can still produce a dud (as Anne Sofie Mutter has been happy to prove with two recordings) – conception and a sense of the complete work at every instant are more important. With her ability to place emotional peaks into refined playing, with her nicely developing tone – never shy, not too big – Ms. Fischer gave this concerto both: the nobility and excitement it needs without veering either into aloof coldness on one side or showy gypsy fiddling on the other. And while the “Beethoven Concerto against Violin” can take any number of approaches, it is especially allergic to the latter. Nobody, especially not Lonborg, is disputing that this team is great. Pedroia and Papelbon are riotous to watch. Lowell and Varitek are two of the more thoughtful players in the game, Ortiz and Ramirez two of the most exciting. But here’s the problem with the 2007 edition of the Boston Red Sox: There is no narrative arc. They started the season as playoff favorites. They finished the season as playoff favorites. There will be a whole lot of stunned people if they don’t win. They don’t, in short, have a story. Maybe that’s how the Yankees do it, or the Dallas Cowboys, or the old Montreal Canadiens, but it’s not generally how we do things on Yawkey Way – at least not in 1967 or 1975 or 1986 or 2004. Thought-provoking stuff for us grizzled vets for whom those years will always have special, and bittersweet, meaning. Interesting to note that this article was one of the most e-mailed of the day. Not that I’m complaining or anything…. PS – discovered a great website of long-time Sox fans: redsoxdiehard.com, including a comprehensive list of all-time uniform numbers. Strange but true: Certified oddballs Jimmy Piersall and Bill “Spaceman” Lee wore the same No. 37 uni for the Sox. One of my favorite of the many great lefty’s quotes: “You have two hemispheres in your brain – a left and a right side. The left side controls the right side of your body and right controls the left half. It’s a fact. Therefore, left-handers are the only people in their right minds. Pretty good line, John. I’ll keep it in mind when the Sox and Tribe do battle in what’s shaping up to be a pretty epic contest.